As we approach the end of January, lots of us will have long since broken the New Years Resolutions that we set for ourselves for 2018 (myself included). But that’s OK because now is actually a great time to re-evaluate what you want from 2018 and set yourself some realistic and achievable money goals for the year ahead and beyond. January is a hard enough struggle as it is with the post-Christmas blues, the miserable weather and the long wait until payday comes – mix that together with the temptations of the January sales and it’s no wonder that most resolutions are forgotten about within a matter of weeks. But now you’ve made it to the end of January, why not sit down and set yourself some realistic and achievable money goals for 2018? I would say that you need to know what you’re aiming for so you know when you’ve achieved it, to keep you on track. I like to use SMART goals, Specific, Measurable, Achievable, Realistic and Timely. An example might be -I will reduce my grocery bill by £20 a week for the next 20 weeks until I have saved £400 which I will use to go on a family camping trip in September. The best thing about money goals rather than ongoing ones – like diet or exercise – is that often you can make one action and that’s it actioned for the entire year. Set up a standing order on pay day to a savings account, compare the market for your utility bills (then switch) or increase your pension contributions with your employer. If you want to start saving, open an account and set up a standing order while you’re still enthusiastic about your New Year’s Resolutions. That way, you can sit back while your savings take care of themselves! My tip would be to find a fixed % of your income to save. Save it on the day you get paid each week or month. You’ll be less likely to miss the money and it will keep you focused. The idea of being able to almost automate your savings with standing orders and automatic transfers on your payday is brilliant because you set it up now while you’re motivated and you don’t have to do anything else for the rest of the year other than to sit back and watch your savings increase! Setting financial goals is a bit like going on a diet: deciding to begin is the easy bit. The hard bit is sticking to it. 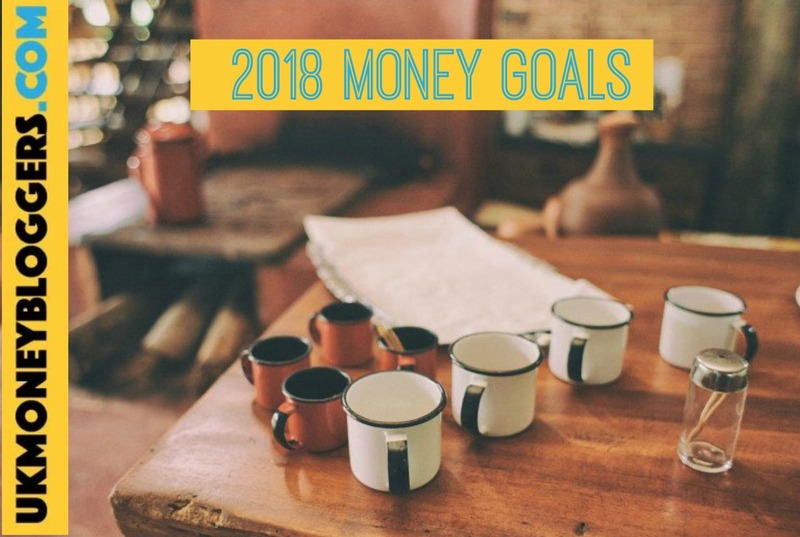 What money goals do you have for 2018? ⟵The end of credit card charges – a loss or a gain?